Get a Z Stylus for $29.99 in the US and it’s in stock right now! Updated May 28th: IN STOCK. 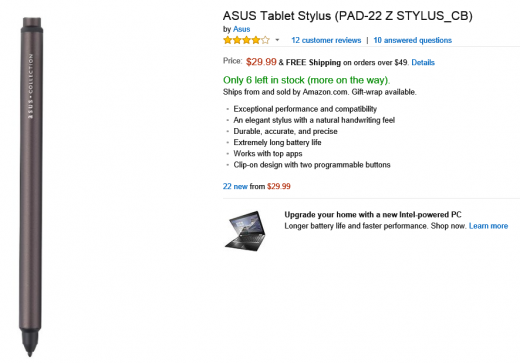 Shop Here – Asus Z Stylus – $29.99 from Amazon.com – Will Ship To Canada Also!